Georgia's Lt. Gov. 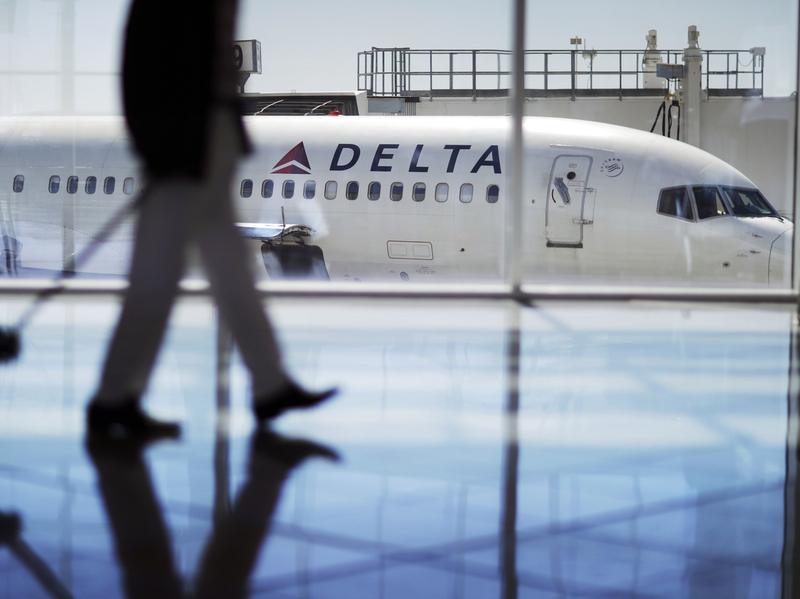 Threatens To Kill Tax Break For Delta Air Lines Amid NRA Spat : The Two-Way Republican Casey Cagle says he will "kill" pending legislation to give Delta a tax exemption on jet fuel after the carrier said it was ending its discount for NRA members. A Delta Air Lines jet sits at a gate at Hartsfield-Jackson Atlanta International Airport in Atlanta in October 2016. Georgia's lieutenant governor has threatened to block a proposed tax break for Delta Air Lines unless the Atlanta-based carrier restores a discount program for National Rifle Association members that was pulled in the wake of the shooting in Parkland, Fla., earlier this month. In the latest fallout from the mass shooting at Marjory Stoneman Douglas High School that killed 17 people, Republican Lt. Gov. Casey Cagle said he would "kill" legislation to give the airline a sales tax exemption on jet fuel "unless the company changes its position and fully reinstates its relationship with" the powerful gun-rights advocacy group. "Corporations cannot attack conservatives and expect us not to fight back," Cagle said. In an earlier tweet, Cagle — who has earned an "A+" rating from the NRA every year since he assumed elected office and has been endorsed by the group – criticized corporations who cut ties with the NRA, calling on them instead to "donate a portion of [their] profits to mental health treatments and school safety initiatives." Cagle is a leading candidate to succeed Gov. Nathan Deal. In a statement on Saturday, Delta said it was "reaching out to the NRA to let them know we will be ending their contract for discounted rates through our group travel program." "Cagle's comments come as Delta, one of the Georgia's largest employers, appeared close to convincing lawmakers to restore a $50 million sales tax exemption on jet fuel. Headquartered in Atlanta, Delta would be the prime beneficiary of the tax cut. The proposed exemption had been part of Deal's larger tax overhaul, which has passed the House and awaits Senate input." United Airlines made a similar announcement on the same day as Delta. The airline is among numerous high-profile companies to cut discounts from NRA members in recent days, including car rental companies such as Alamo, Avis, Enterprise, Hertz and First National Bank, Symantec, MetLife and others. Meanwhile, the hashtag #boycottNRA has been trending. "Cagle was not alone in his push to punish the airline, and the issue appeared poised to become part of the upcoming gubernatorial race in the gun-friendly state. Sen. Michael Williams, another Republican candidate for governor who had opposed the Delta tax cut before the NRA controversy, praised Cagle's statement, saying his political rival 'is feeling the pressure that we are putting on him.' He applauded Cagle for listening to what he says is the 'vast majority' of Republican senators who now want to quash the proposed jet fuel tax cut."